With reporting season now over, we thought we would offer some key takeaways for the four U.S. mega-cap banks (JPM, C, BAC, WFC). 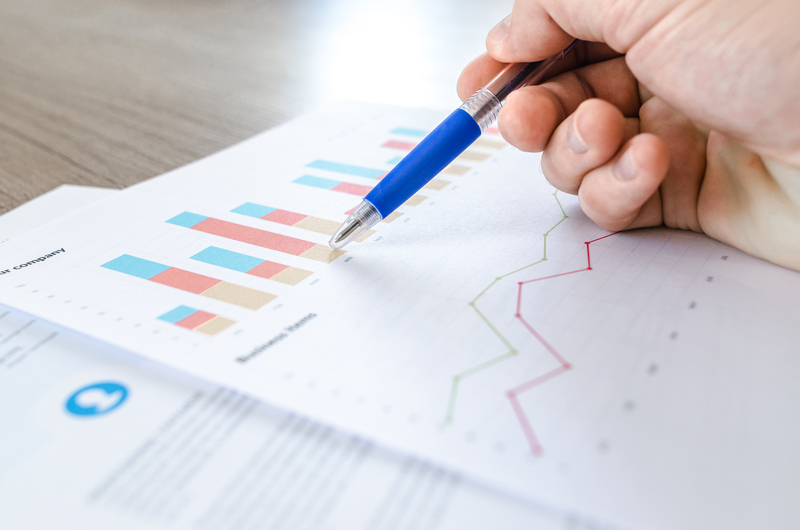 Given that these four firms account for over 33% of the U.S. financials index (S5FINL Index), they have a significant/disproportionate impact on the overall sector’s results and are therefore worth following. 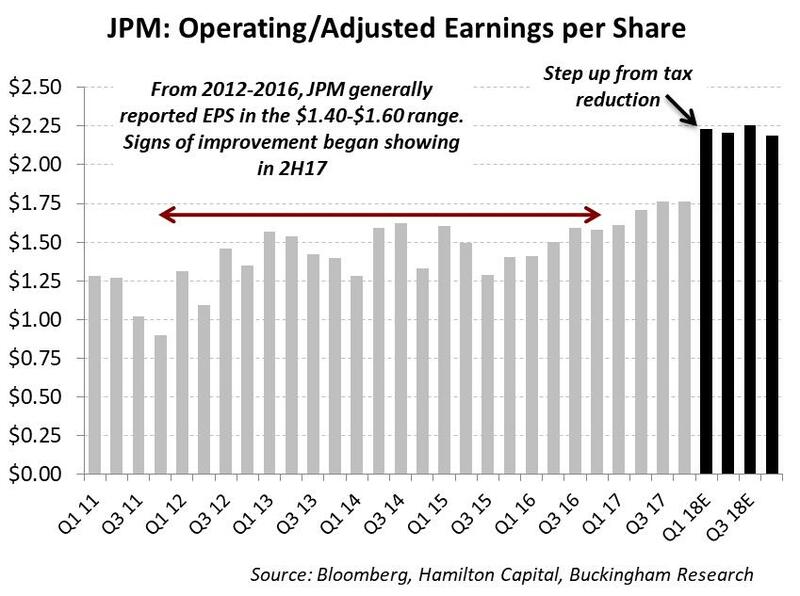 In this note, we show operating earnings trends for each bank. 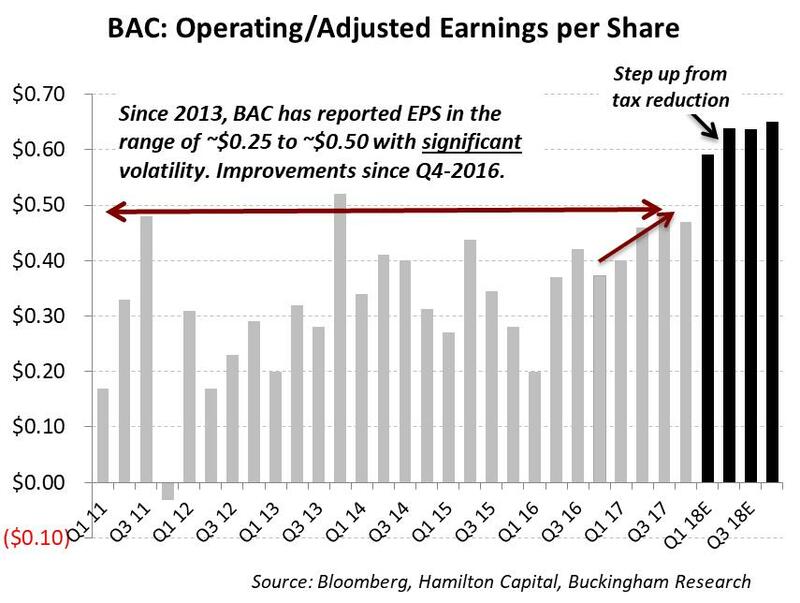 As shown below, and as we have written before, in the last four to five years these banks have struggled to generate any meaningful EPS growth. With Q4 over, what is new? The charts below show improved trends for Bank of America and JPMorgan. 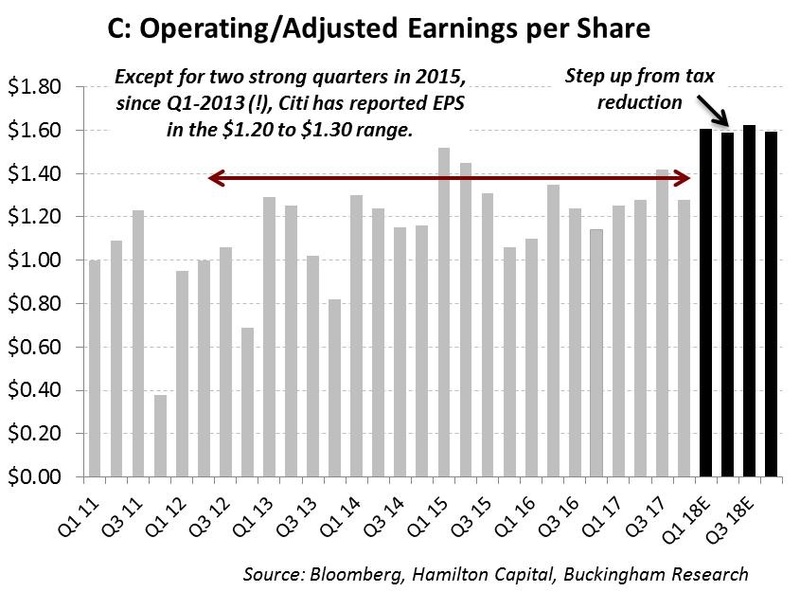 By contrast, Citigroup and of course, Wells Fargo continued their stagnation into Q4. 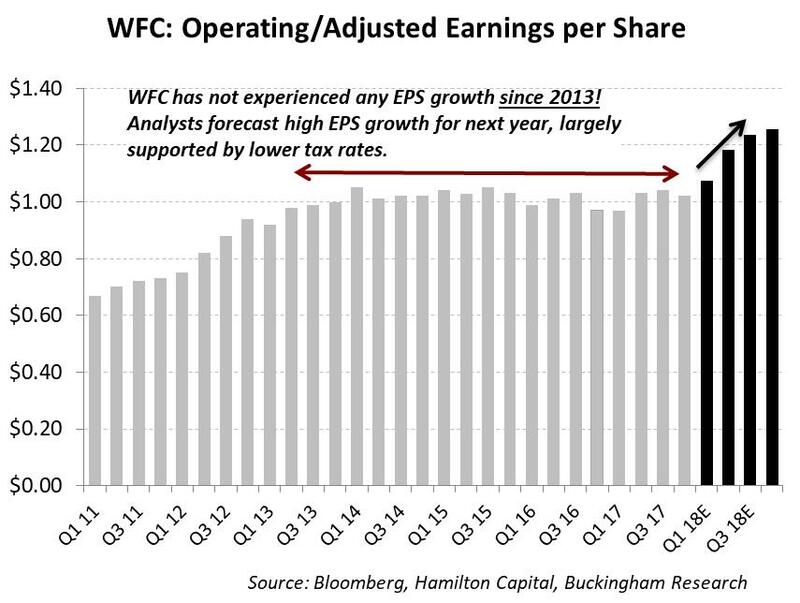 The charts also highlight the magnitude of the lift to EPS growth forecasts for next year, largely from the decline in corporate taxes. Notwithstanding that U.S. mega-cap bank EPS growth continues to lag their mid-cap peers, the share prices of the mega-caps have materially outperformed in the past year as they have benefited greatly from a large sector rotation into financials primarily through multiple expansion (anticipated regulatory reform and tax reductions are shared across all categories of banks, and do not likely explain the sheer magnitude of mega-cap outperformance). With attractive valuations, superior portfolio weighted EPS growth, higher rate sensitivity, and M&A potential we continue to believe there is a compelling case – both fundamentally and technically – for investors to swap some of their large-cap financials positions in favour of either the Hamilton Capital U.S. Mid-Cap Financials ETF (USD) (ticker, HFMU.U) and the Hamilton Capital Global Bank ETF (ticker, HBG).